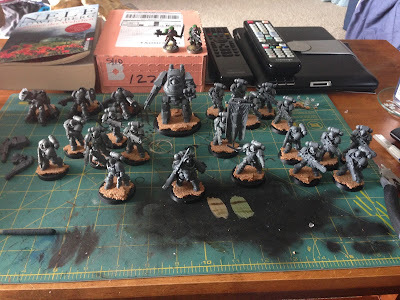 This is what the Dark Imperium boxed set comes with from a Primaris standpoint, plus the one Contemptor I had on sprue and assembled over the weekend. That's a total of 1,059 points. 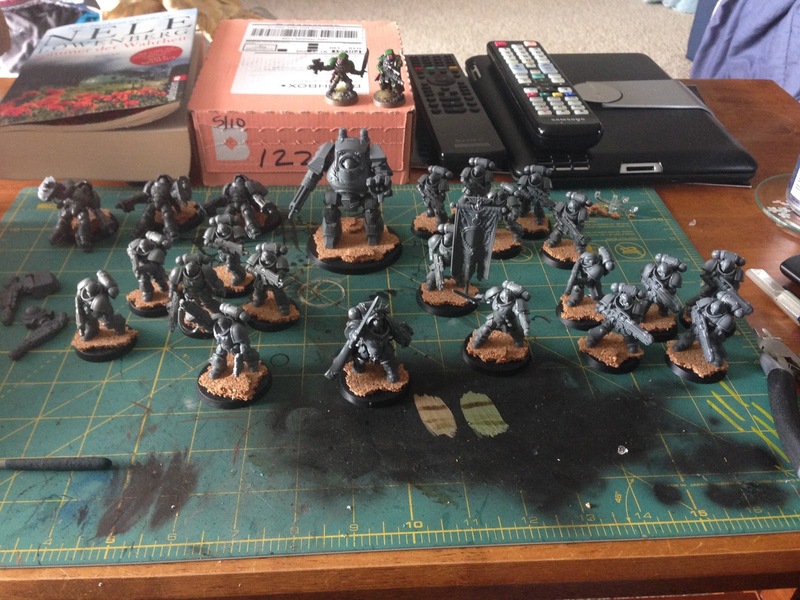 Not too shabby for $60 and a traded Deathwatch dude still on sprue (which I traded for the Contemptor). I'll end up adding in AdMech stuff that I already own to bulk the list out to 2,000 points.